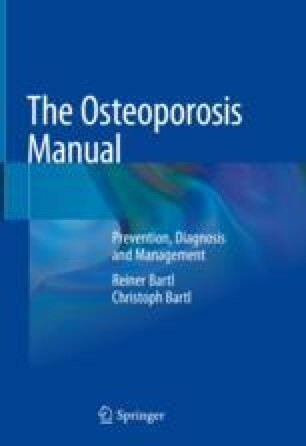 Osteoporosis has traditionally been categorised as primary or secondary. Primary osteoporosis occurs together with and as a result of the major physiological condition known as ageing (senescence) and its causes and consequences. Secondary osteoporosis develops as a consequence of the major physiopathological effects on the bones, by numerous disorders of other organs and tissues in the body.